We are manufacturer and exporter of Road Safety Equipment. We offer a qualitative range of Stackable Safety Road Barrier, which is used to reducing the possibility of any difficulty on the roads. These products are manufactured using high-quality raw materials using latest designs. 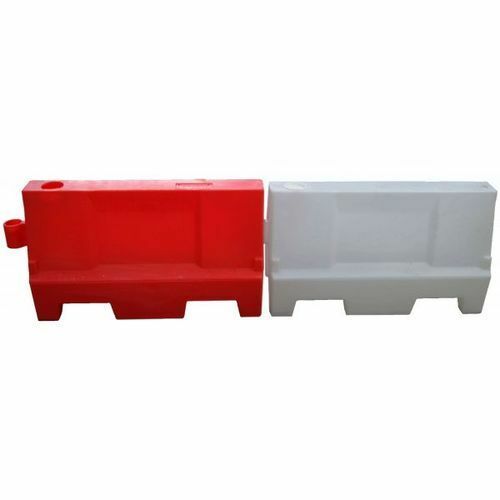 Stackable Safety and Road Barriers: These plastic water-filled safety barriers are used as temporary barricading around construction zones. 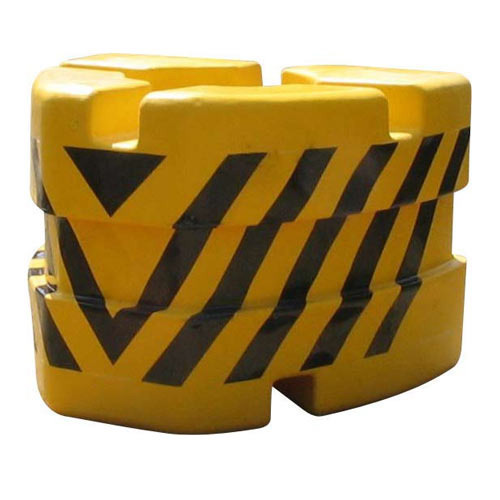 These save precious storage space as these safety barriers, road barriers and highway barriers are stackable. 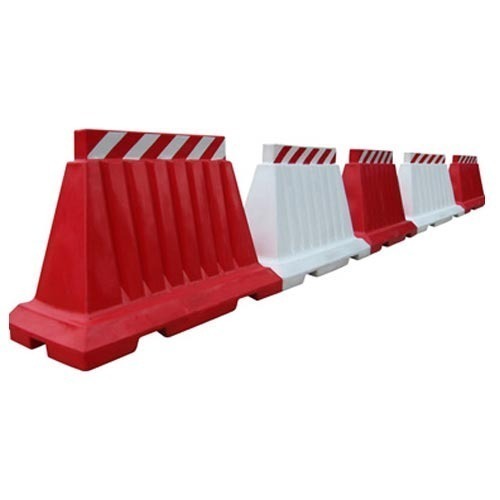 Made from UV stabilised and non-fading polymer, these highway barriers, road barriers and safety barriers are a good and effective choice around construction sites. 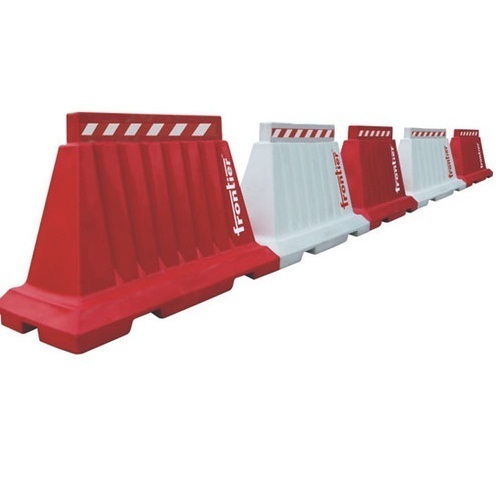 To meet divergent demands of the clients in an efficient manner, we bring forth an extensive array of Road Safety Bullnose Barrier. The offered product is used to cater the varied requirements of road traffic and safety personnel. Our offered equipment is designed with precision by utilizing supreme quality material and employing ultra-modern technology under the strict vigilance of adroit professionals. Furthermore, the offered product is quality checked on different parameters to meet the standards set by the industry. We ensure the best price and timely delivery of our product. Road Safety Mini Barrier is an effective water filled barrier used for lane dividing between two wheelers and four wheelers at toll junctions. Also used on go-kart tracks as crash barrier. Road Safety Bullnose Frontier crash barriers have proved their ability on the harsh Indian highways and internal city roads. They have excellent night time visibility. When crashed into, the water inside takes the impact of the vehicle thereby acting as a life saver. For median, intersection, divider, tollbooth use. One of a kind impact-absorbing barriers. Placed at critical intersections on two-way streets. High water ballast reduces injury to errant drivers. High-intensity reflective tape gives early warning. UV stabilised and non-fading impact resistant polymer. 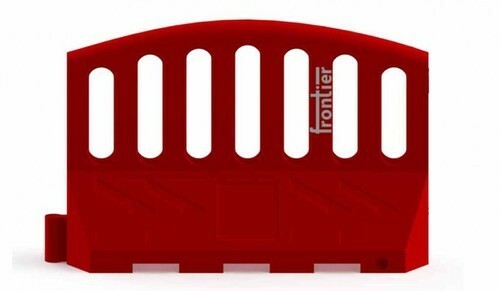 Frontier Bullnose Crash Barriers have proved their ability on the harsh Indian highways and internal city roads. They have excellent night time visibility. When crashed into, the water inside takes the impact of the vehicle thereby acting as a life saver..
No sharp edges or corners, smooth exterior finish deters graffiti. 90° interlocking - 100% wall effect. 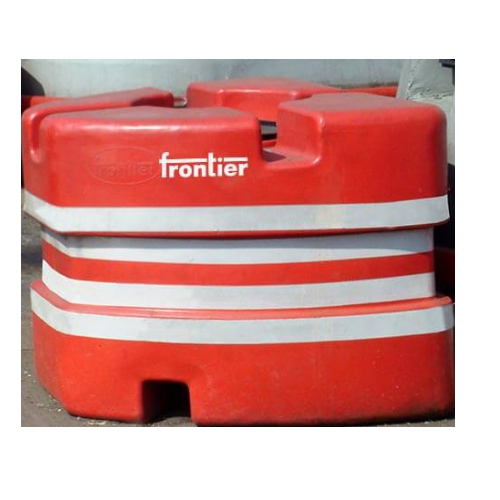 Road Safety Cones one-piece construction traffic cones made by Frontier are ideal for putting your company logo or message. 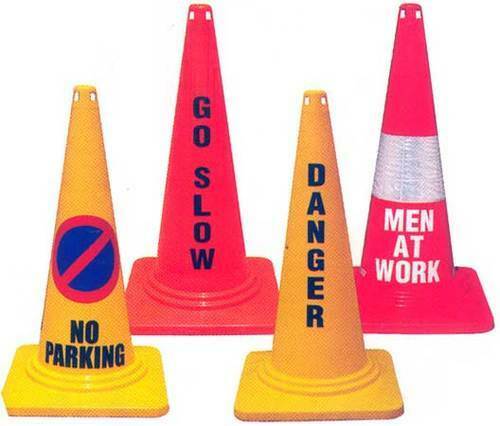 No Parking Cones, Danger Cones, Go Slow Cones etc are some of the options offered by us. You can always get your own message printed on our cones. Combo Road Barrier The world's most economical water filled barrier system, this combination of barrier and plank saves cost and precious storage space. Approx 440 meter length can be exported in one 40' container. 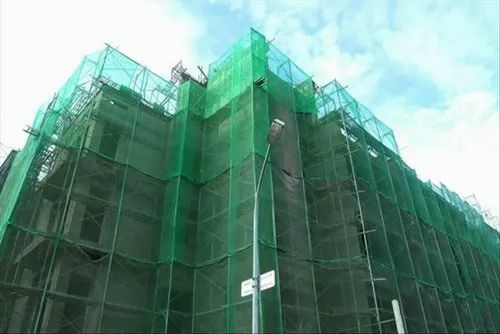 These traffic barriers are highly effective where large quantity is desired. UV stabilised and made from non-fading colours these water-filled traffic barriers turn out to be more and more economical as the length goes on increasing. These traffic barriers are very effective around construction sites, during events and rock concerts, temporary lane dividing on highways etc. Looking for “Road Safety Equipment”?